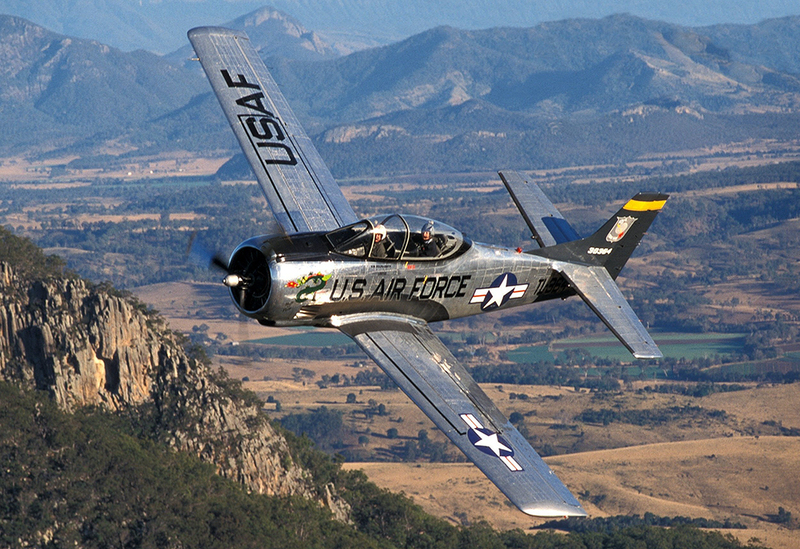 VH-TRO T28D Trojan is a genuine combat veteran. 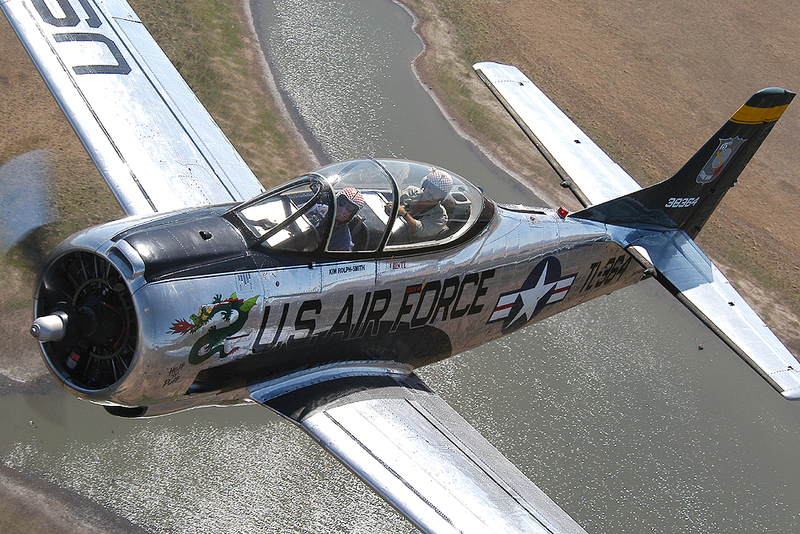 It was built by North American Aviation in 1951 for the USAF. In 1964 it was seconded to the CIA funded airline Air America for clandestine operations in Laos. After the Vietnam War finished the aircraft was delivered to the Royal Thai Airforce where it was used for counter insurgency activities on the Thai – Laos border. In 1976 it was sold to the Philippines Airforce where it operated with the P.A.F. 1st Strike Wing based at Sangley Point. It was one of several T-28Ds used in the attack and failed coup attempt on President Marcos presidential palace. It was then brought to Australia in 1990 where it has been totally restored over a 12 year period and first flown again on 5th October 2001 by Kim Rolph-Smith.